A few weeks ago me and a few bloggers were kindly treated to a sleepover weekend in London. A few brands wanted us all to chill, relax and pamper ourselves and as such we were given some pretty amazing goody bags full of treats to try out. A lot of them included hair care products and this could not have made me happier. There were also some doughnuts from Krispy Kreme. Though being vegan meant I couldn't have any :(. We had drinks provided by Berry White as well. To cut a long story short, we were simply spoilt. Since deciding to relax my hair last year I have been wanting to go back to being natural. It was a complex decision about whether I should have the big chop or simply grow it out. Receiving and trying out some of these products has really made it easier for me to grow it out. I have loved this one so Much and its definitely one of my favourites. Whilst my hair as expected has seen some breakage this has helped limit it to a smaller amount. 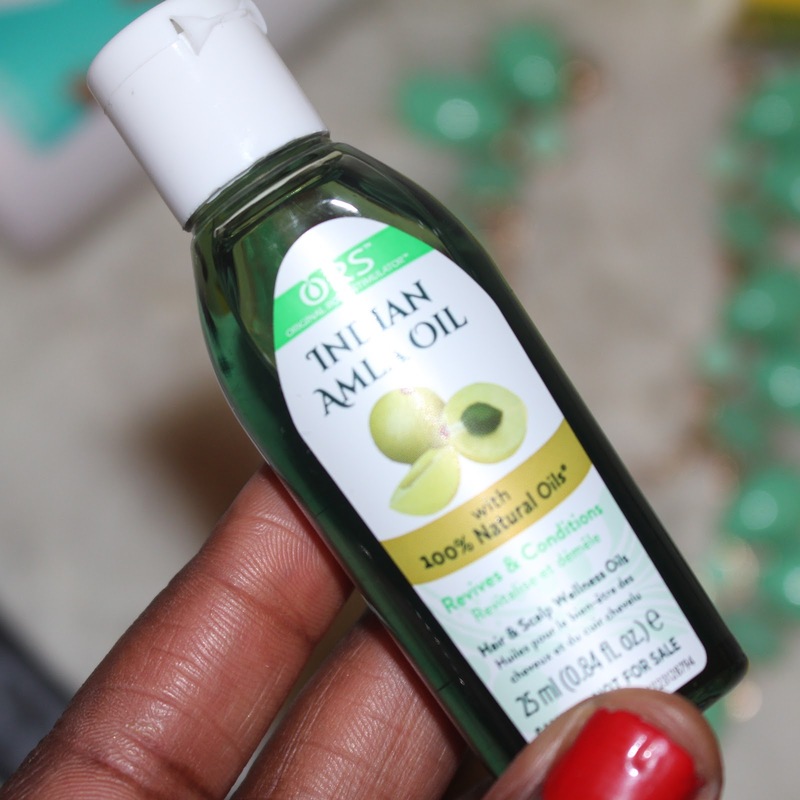 I love that Indian Amla oil has restorative properties that promote hair growth. 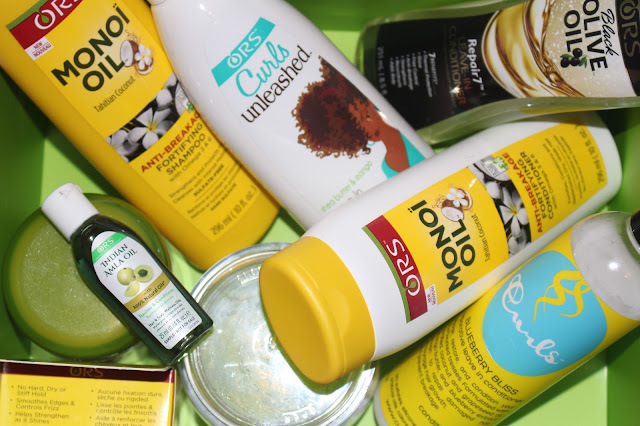 After all who doesn't want long healthy natural hair? 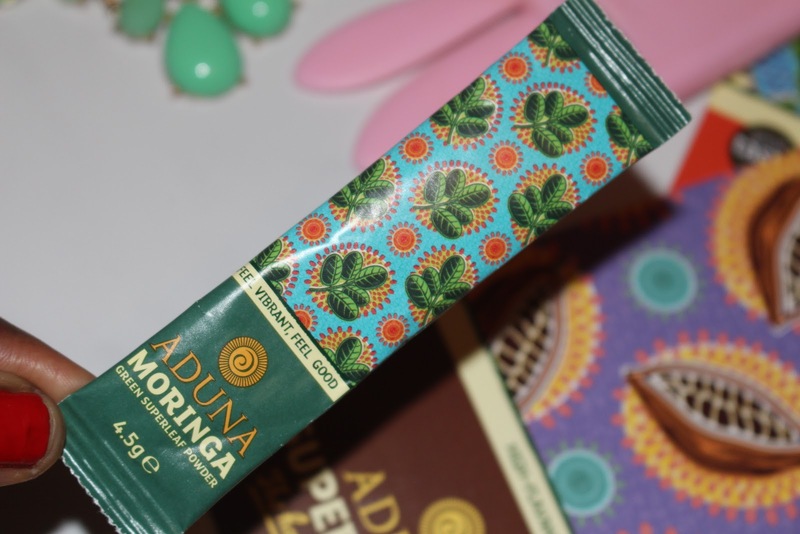 I have always used the Aduna Moringa loose tea, and loved it. One of the questions I always get asked how I get protein and Moringa is a fantastic source of protein. Its one of the most Nutrient dense food on the planet with about 23% plant protein. I am also anaemic and seeing as how its rich in Iron its one of my favourite Natural Teas to have. It has that spinachy taste which I personally love but it could be an acquired taste to some people. This was one of my favourite of all the products that I was sent to review. Its makes my hair feel so soft and where I have regrowth it helps define the natural curls as the hair is growing. Since using this I have noticed that my hair is growing faster as well so no complaints here. The one negative and it really is a big one is the scent. Its overpowering and cloying so much so that it is a bit sickening. But all the negatives aside I would definite repurchase this since I love what it is doing to my hair. As a person I don't really like to change up my routine that often. If I find something that works I tend to stick to it. So its been fun experimenting and finding new products to try out. I do have to say though that what works for me might not work for you so definitely do try more of the range and see if you can find your Miracle products. I would love to hear from you re this. I still have so many goodies to try out and so I will keep you guys updated. One of the ones I am really excited to try when the time is right is Pink Parcel. I think that its just a cool and fun new thing that I can't wait to review for you guys. I also really wanted to thank all the amazing companies that made this happen. I am going away this weekend to London for my friends Hen Party and I am so excited to be trying out my Heaven Skin Care Mini Beauty Care. I loved this post and your blog! !